Through 2017, we have seen technological advancements, new regulatory policies, and ever demanding customers reshape the banking industry’s landscape. 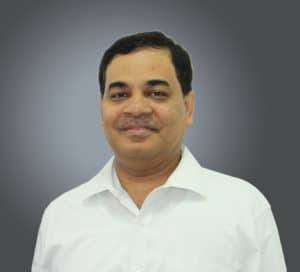 The Indian FinTech scene comes with an added extra; new initiatives by the government to boost financial inclusion and promote a cashless society have opened up windows of opportunities for FinTech companies where first mover advantages are tremendous. As a result of the government’s initiatives, there has been a sharp increase in consumer adoption of FinTech. EY, one of the big four consulting firms, in their FinTech Adoption Index for 2017 states that 52% of India’s digitally active consumers are adopting FinTech; a figure that is only second to China’s 69% which is the global highest. In these times of uncertainty, only one thing is certain – change. 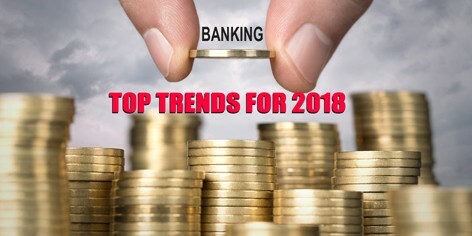 Below are some of the FinTech trends that could become major game changers in 2018. 1 Next-Gen Chatbots – 2017 saw several major banks in India such as HDFC, ICICI, and YES Bank, amongst others, adopting chatbots for supporting customer interactions. Currently, these chatbots are said to possess the intelligence of a 2-3-year old. However, as machines do not suffer from physical or learning fatigue, the evolution of a chatbot could be best described as more exponential than linear. So, in 2018, we could expect more chatbots to be deployed with improved quality of interactions, speed of responses, and accuracy in decision making. 2 Machine Learning – Banks in 2018 will start adopting new regression models powered by Machine Learning to deliver better offerings. The brightest data scientists will be involved in this delivery and they will be aided by insights into customer behavior, expectations and responses. These insights will be gained by adopting big data tools and will enable banks to predict customer needs and meet them in a customized manner. 3 Blockchain – As NITI Aayog is creating ‘IndiaChain’, India’s largest blockchain network, to reduce fraud, speed up contract enforcement, and increase transparency, it’s clear that blockchain is no more the elephant in the room that no one is willing to address. Several major players have already begun pilot projects to measure the feasibility of adopting blockchain into their ecosystems. As Blockchain is virtually unhackable due to time stamps that mark a data entry in a distributed ledger, banks will explore options to leverage the power of blockchain to transform backend operations. 4 Smart Workflows – With the help of embedded AI aiding the backend operations of banks, they will be able to quickly identify bottlenecks in their operation workflows and bring in significant improvements in process efficiencies. 5 Automated Personalization – Banks will leverage the power of FinTech to personalize the offerings that users see on all their devices. Banks will change the appearance of apps based on actual usage. This will make users feel more connected with banks and it will also set the stage for efficient self-service. There will also be advancements in providing pre-filled data to users based on their previous interaction history, preferences and banking habits. 6 Open Banking – With initiatives such as UPI and AEPS, banking will become more ‘open’ in 2018. With more APIs exposed by banks, the process of carrying out payments and other banking transactions would be greatly quickened as well as simplified. 7 Physical and Digital Merger – FinTech has made it possible for banks to reach customers who are data rich but credit poor. In a country like India, where so many people still don’t have access to banking facilities, FinTech works better by offering a ‘phygital’ (a combination of physical and digital) experience. The objective here is effective self-service that enables customers to walk into a branch and make use of basic automated services. Canara Bank has successfully implemented such a system with CANDI, and more banks will follow suit in 2018 to remove the boundaries between physical and digital banking. 8 Extended Digital Coverage – Until now, most digital banking solutions have been primarily targeted at retail customers. In 2018, banks will extend digital coverage to other areas such as corporate banking and SME banking and also transform their internal operations to derive the best out of digital transformation initiatives. 9 Agile Architecture – Digital solutions are here to stay and as timelines shrink, budgets tighten, and lifecycles shorten, banks will follow new architecture paradigms such as micro apps, micro services and more. These will enable banks to introduce changes significantly faster with minimal impact on existing deployments and services. 10 Security – Data is the new oil and with so much data being generated every second, hackers are constantly devising ways to acquire it. As most cyber security measures up till now have been reactive rather than preventive in nature, banks will now begin to adopt additional measures to ensure data security at all stages using a combination of encryption, OTPs, biometric authentication and more.